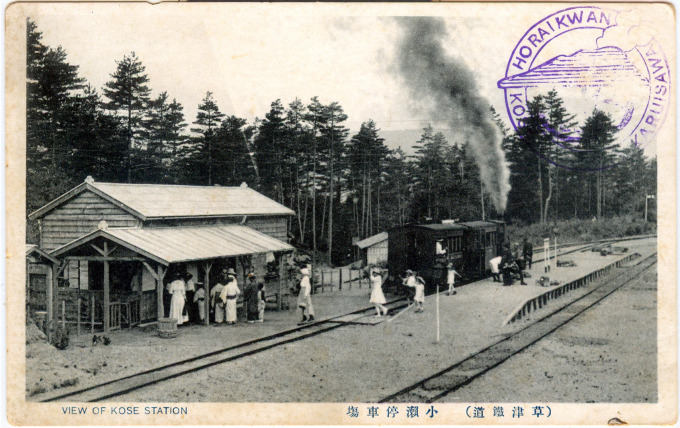 View of Kose Station, c. 1920, with a commemorative stamp from Horaikwan, a local hot springs ryokan (inn). Play Ground in Karuizawa, c. 1930. A short ride from Karuizawa Station on a now-defunct local rail spur, the Kusatsu Railway, would bring a visitor to Kose Station and the onsen [hot baths] for which the tiny hamlet was famous in the fold of the hills beneath Mt. Atago, a half-mile beyond the Mikasa Inn. 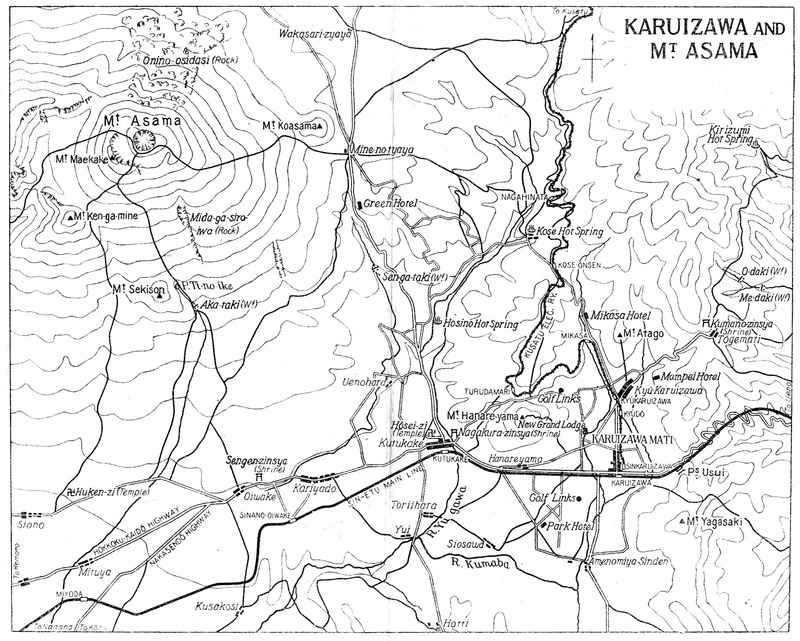 “A lover of beautiful landscapes rich with foliage and wild flowers will want to repeat this walk again and again, as the pleasure of studying the untrustworthy Asama from a safe distance grows on one … In June a host of odorless azaleas flame amid the green grass and young pines of the hillside and idealize the beautiful landscape. The clear, cool, garrulous little brook that whimpers down through the gorge is deceptive, for when the spring rains give it size and power it is apt to tear giant trees out of the hills and dash them helter-skelter over the lowlands.